All modules included. No additional purchases. Butcheries are unique in that the products sold are received in bulk and then cut and repacked for the customer. Raw meat might leave as Biltong or mince and these may or may not include fat and the price will vary accordingly. Many variables make managing stock both challenging and essential. Smart Retail is made to cater to these product variables. Product manufacturing – Biltong, mince, wors etc. 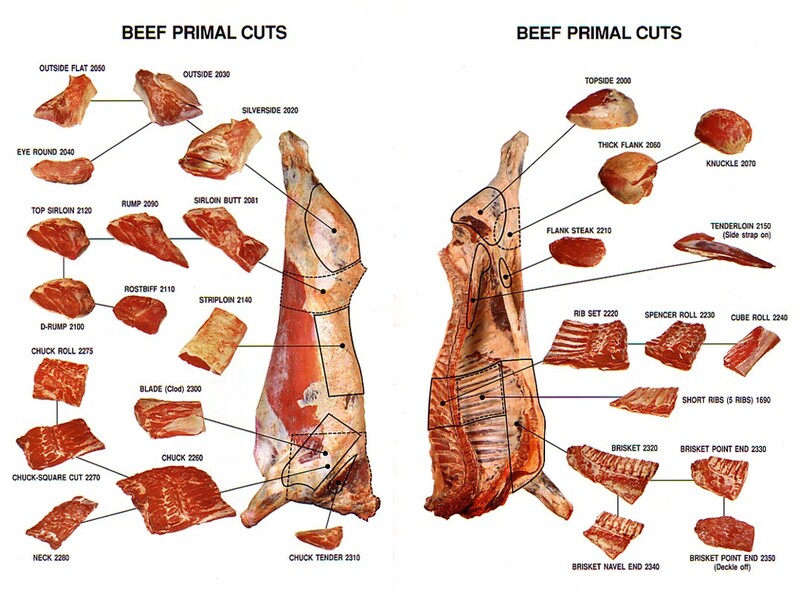 Customise the cost and price of each meat cut for different animals. Accurately add product details and track anywhere in your company. Manage returns to suppliers – damages, expired fresh produce etc. Manage the products you sell in detail. 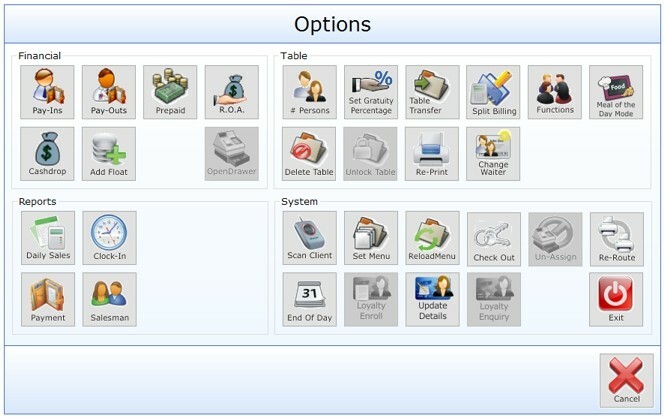 The screenshot shows the many product features available. To make things easier products can be imported in bulk from a excel in a CSV format. The touch screen makes checking out products and processing products easy and fast. The buttons can be colour coded as you choose and the navigation through products is based on the product categories and sub categories. Users have limited access to features based on their access rights. This makes it impossible for the teller to checkout products at the incorrect price or with excessive discounts. Each person sees what they are allowed to and this speeds up the checkout process. Multiple payment methods are integrated as well as split payment (e.g. cash and card on the same sale) options. Senior staff can access more sensitive information and perform tasks that junior staff can’t. 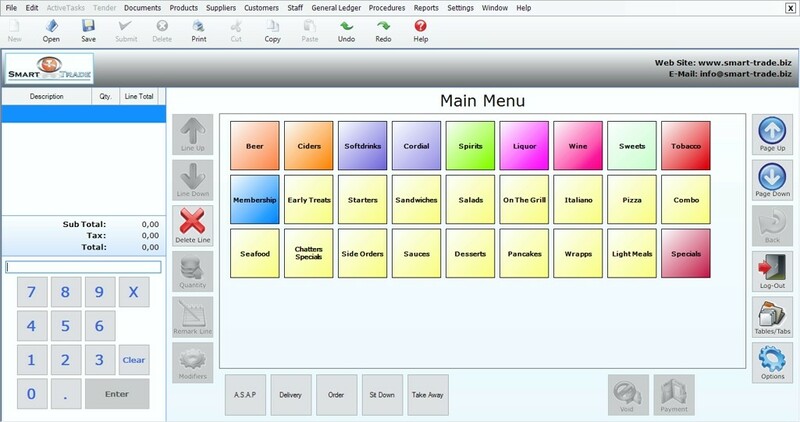 Create your menu in Smart Retail with this easy to use interface. 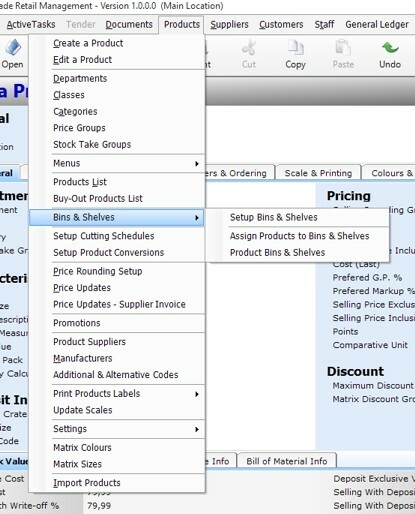 Select products from your product list to appear in the correct category or sub category. You have the freedom to setup your products in the way that makes most sense to you. 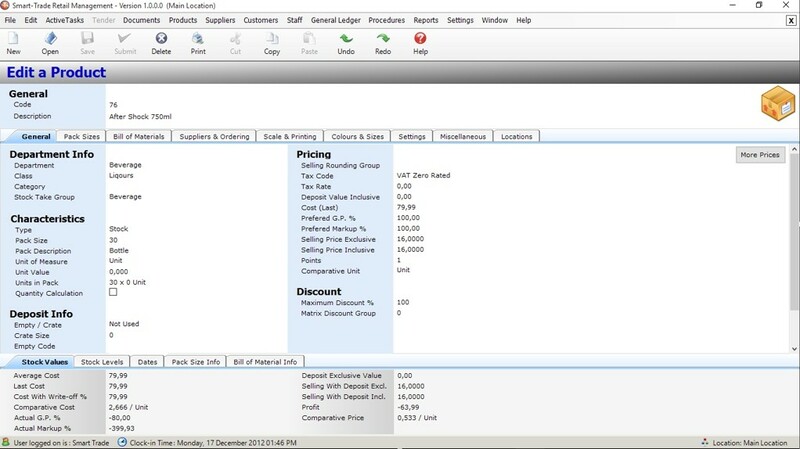 This makes it easy to find products when invoicing or quoting not using a bar code scanner. 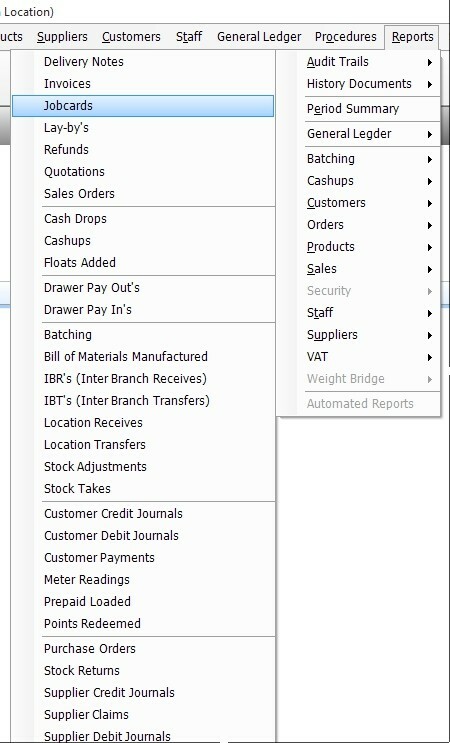 The category and sub categories are displayed in a tree view, making it easy to manage the location of the products within the menu structure. User access rights determine what areas are accessible. A wide selection of standard reports are available. There’s probably more reports than you need available ‘out the box’. If there is something specific your require talk to us and we’ll see how we can make it possible. The list on the left is the menu of reports under Audit Trails only (The screen was not big enough to show all available reports). Extensive, detailed reports give you an accurate, live overview of your business. 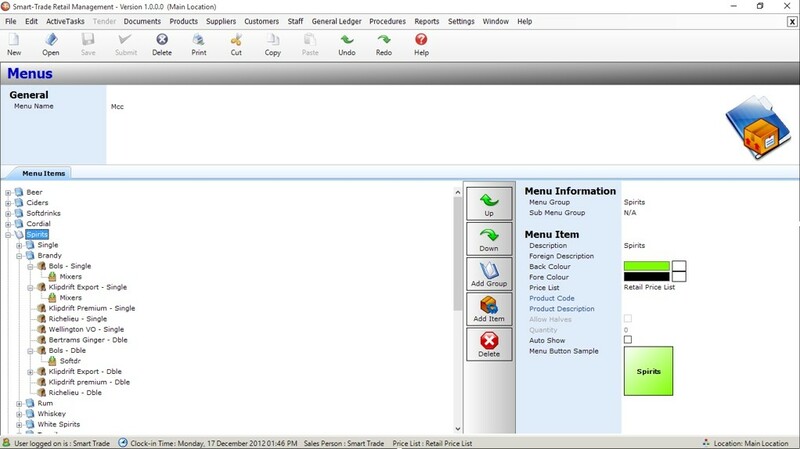 Smart Retail can be setup to email you the reports you want when you want them. Stay in touch with your business even when you are out of the office. Request a demo to experience all the features! More than just a Point Of Sale. Effectively manage the day to day running of your restaurant.